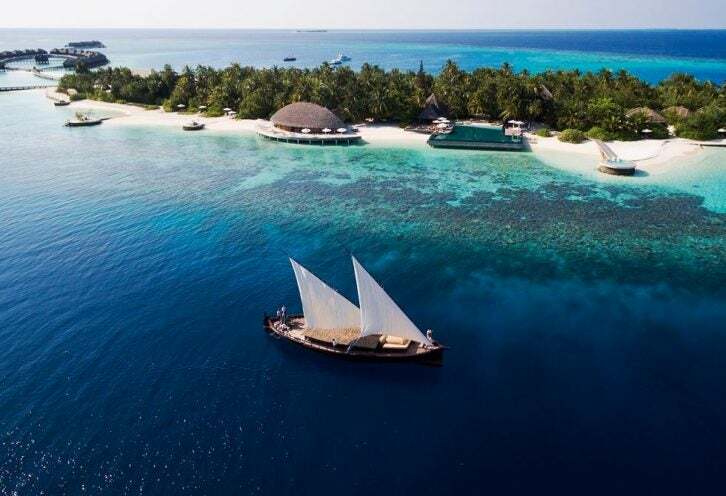 Encompassing three distinctly unique island resorts—romantic Huvafen Fushi, family-oriented Amilla Fushi and the lively retro-chic resort Finolhu—Small Maldives Island Co places the focus firmly on giving each place a clear identity and curating the experiences you have there. 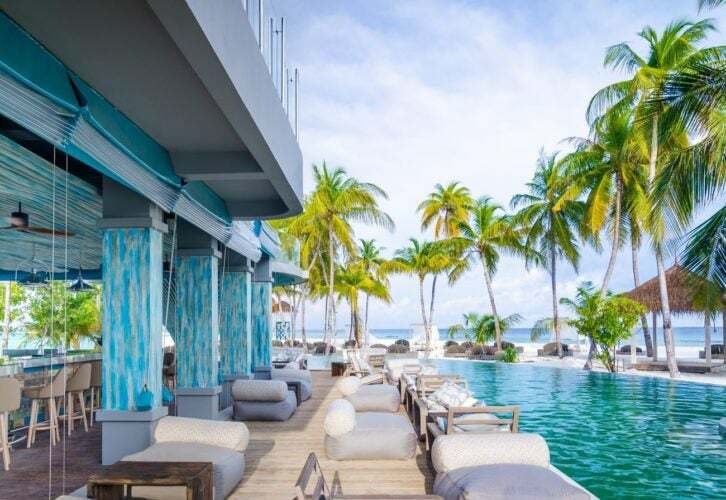 With the recent relaunch of Huvafen Fushi, we talk to the CEO, Mark Hehir, to find out what it is that makes Small Maldives Island Co so different. What drew you to join Small Maldives Island Co? The founders and owner have been known to me for years. They invited me to join them and I took over as CEO in 2015. Since then I’ve led the company’s entire direction and focus, from the design and interiors of the 2016-opened resort Finolhu, to a villa’s styling and defining who the target guest is. The group started with Amilla Fushi, then Finolhu opened, then the family behind Huvafen Fushi asked if I could take it over and bring it into our group. I had been the GM of that resort before, so I could bring it back to life in the right way and with the right spirit. The three islands are very different. How would you define each of them? We define them by key experiences people can move between. Amilla Fushi speaks to a family who wants a chic high-quality experience. It’s got great water and land sports and ticks the box of the spa in a beautiful way, but in a broad stroke it’s a family resort with a series of multi-room residences. The Maldives has always had that base honeymoon market but the honeymoon market doesn’t repeat – families do. So, Amilla lives that life. 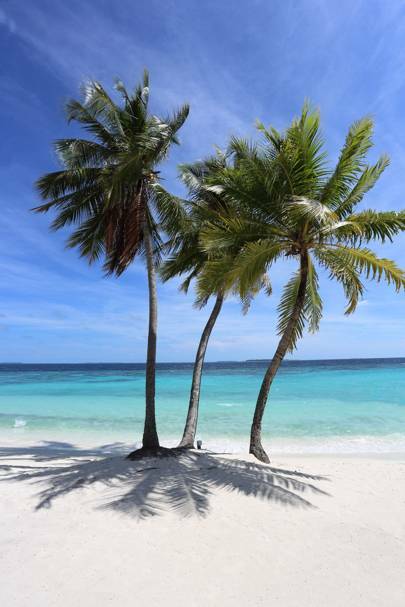 Finolhu then celebrates multi-generational travel. It’s a very fun five-star retro resort, with 60s and 70s influence, and emotional connections through the music, architecture and design. Different generations have a different take on it, and it’s bigger so there’s a lot of movement and vibrancy. Every night there’s live entertainment and a lot of quirky twists, so we host a lot of celebrations. For Huvafen Fushi, when I worked there before we were always thinking about that beautiful couple who wants to escape and indulge, eat and spa, do some diving and slow down for a bit. We thought about that a lot, but with new operators coming and going, the idea got lost. When I went in, I had to clean it out and think about who our guests are. In this most beautiful immaculate place with dolphins coming past, you don’t want kids running through throwing sand as you’re having a croissant and coffee. It’s supposed to be this zen place. So I made it adults only. And Huvafen Fushi is a grande dame of the Maldives. It’s timeless. So, with the re-imagination, it was all refreshed and brought back to life. Huvafen is built in a way that has integrity so I wanted to honor that. That’s how the islands define themselves, but the same people do go to all three. I don’t think it’s a different guest. It’s more the mind-set. When you define a concept that well, it stands out and that eventually gives you the longevity. If you try to be everything to everybody, you inevitably become nobody. It’s been great for us to make that decision. Overarching though is our people who have been on the journey for many years. Without them, none of this works. What are the biggest differences at Huvafen Fushi since its relaunch? We now have the overwater Japanese restaurant, Feeling Koi. That’s been a huge success. We have a Japanese chef in Hokkaido who acts as consultant chef. He comes to the Maldives throughout the year and we send our chefs over there to train with him. That defines the authenticity of it, then we put a twist on it with our Peruvian-Brazilian chef. We had a healthy eating restaurant there before but we’ve moved that to the relaxation area of the spa, and we’ve worked on the spa facilities, establishing new partnerships with people like Teresa Tarmey the facialist and Pure Massage by Beata Aleksandrowicz. We then reworked our two-story villa, The Playpen, to make it feel like a London penthouse. It’s not something that’s been done before in the Maldives – it has a burgundy pool, steam room and sauna, and a raised bed so you see more of the ocean view. How do you think luxury travelers’ expectations are changing? Over the last six or seven years it’s been on my mind that it’s the person’s experiences and stories that matter most. The product isn’t the most important part – it’s what you do in it. It’s really important that we keep ahead of that by creating stories, curating those experiences and showcasing them in a way that makes people want to engage. Now more than ever, people want to know who’s there, what the culture is like and how it’s going to make them feel. Do you have any other islands planned? I do – in detail. We want to eventually have five resorts and alongside that work on other experiences within the Maldives and ways to champion all of that. I created a club to speak to our customer through called Maldives Aficionado, with a rewards program and experiences threaded through it. We want to grow our loyalty through gifting experiences and also engaging people in their own country with events. That’s critical for our growth. I also want to develop another island that’s close to my heart and how I feel about the environment, while relating to mind, body and spirit in a creative way through design and installations. It will be 100 percent solar powered and free from first- and single-use plastic, but we’ll still give you that luxury, design-led experience. I’ve created the concept and I’m now working on making it happen. Another island would focus on a different customer profile, and we’d like to have boats people can stay on that also connect the islands. These are the things we can do as a small company, which is the dream. Find out more by going over to tsmic.mv. Breaking News : 11:30 pm (IT) 6th June 2018- Amilla World Cup Draw was held last night, attended by all six managers of the participating teams for the press conference followed by the exciting match draw. The match draw was done in two groups, with Group A being grouped with the most anticipated teams Australia, Brazil and Belgium. Many people in the crowd were very excited. The Group B has drawn with lots of noise from them, which included Portugal , Argentina and France. The Final Draw: First Match is Australia & Brazil at 11 pm Island time on the 12th June. The press conference was so lively with lots of strong comments coming from all Managers. I guess we will see who comes out on top! The Managers presented their team Jerseys whilst receiving lots of cheers from the crowd. It looks likes it’s a very anticipated event. Look out for more reports once the event starts on 12th June. Special note: Opening Ceremony 12th June 2018 at 10:30 pm sharp! Feeling Koi, our signature restaurant at Amilla Fushi is nominated in the 2018 World Luxury Restaurant Awards. GREAT NEWS FROM YOUR ISLAND HOME!!! Feeling Koi is a breathtaking overwater restaurant that offers authentic modern Japanese dining presented in playful, Latin-influenced style. Shared dishes are prepared using the finest quality ingredients, with simple, exquisite presentation given a Latin twist. Freshly arrived on Amilla Fushi by seaplane from Malé, we were surrounded by sweet, eager staff handing out ice-cold face towels and fat glasses of something pink and juicy which tasted like coconut, only better. Sadaam high-fived the kids and dispatched the rest of the bags to our villa. Our new home turned out to be vast, modern and minimalist – like an urban five-star but without the noise and bustle – with deep ceramic baths, ocean-sized beds, and silent (and very welcome) air conditioning. Outside, we found not one but two swimming pools, surrounded by king-size sun beds, just a few feet from a powdery white-sand beach. Just as we were thinking of finding something to eat, chef Nonky (‘Pronounced donkey, but with an N’) appeared in our private kitchen with trays of, well, options. Everything from Waygu beef to gigantic, grilled tiger prawns with garlic, chilli and lime, to sashimi of scallop and kingfish, sliced wafer thin, with a spicy dipping sauce. Delicious aromas filled the villa. Checking out the children’s menu, I was delighted to find chilled prawns with avocado and mango salsa, as well as salt and pepper squid with watercress salad. Hooray, a nugget-free zone! This was warming my heart. One of my children is quite severely wheat intolerant, but having gluten-free options meant pizza-night treats could go ahead without a hitch. I’ve been mountain climbing in Iceland, parasailing in New Zealand and dog sledding in the Arctic, but haven’t been to many beach resorts. So I’m not really used to being waited on, or being expected to relax, which I’m not very good at and quite expert at avoiding. So I arrived on Amilla Fushi ready for some action and energetic yoga sessions. That’s why I was initially suspicious of my teacher’s floaty outfit and the rose petals scattered on my yoga mat: you see, I struggle to get in touch with my chakras, or even listen to myself breathe for too long (I just start making lists). And yet, after five consecutive days of 90-minute sessions, low and behold, it was happening. She was getting under my skin. Darn! I was indeed relaxing; the to-do lists in my head vanished. And so Amilla Fushi was beginning to work its magic on us all. If my children weren’t gliding alongside my husband and myself on one of our daily dives with sharks and mantra rays, they were tearing around the new, off-the-charts-amazing tennis courts under the watchful eye of coach Tony. And there was always a willing band of male staff members ready to kick a football around with my son, who’s a little on the shy side and was really made to feel part of a team. In fact it became a bit of a ritual, as he’d race out the door at five o’clock to join his friends like a newcomer welcomed by local villagers. Somehow a massage also worked its way into our routine. The island’s Javu Spa is a sanctuary of eucalyptus- and chamomile-scented calm where staff drift silently along its airy walkways, always with a smile. The Himalayan salt-crystal body scrubs left me feeling shiny and reborn, and the 90-minute full-body massage reduced me to a slippery, lavender-drenched, Bambi-like state.